The MCC Foundation was founded in 1993 as the charitable arm of Marylebone Cricket Club (MCC), the owners of Lord’s Ground and guardians of the Laws and Spirit of Cricket. Since 2011 it has run a network of Hubs across the UK, providing free coaching and match-play to state-educated 11-15 year old boys and girls. Only 1% of state-educated 11-18 year olds regularly play cricket. The Hubs aim to keep young people engaged in the game, improve their cricket ability, and boost their confidence both on and off the pitch. Over the 2018/19 winter, there will be 50 Hubs running in England, Scotland and Wales, providing cricket to around 2,000 young cricketers. 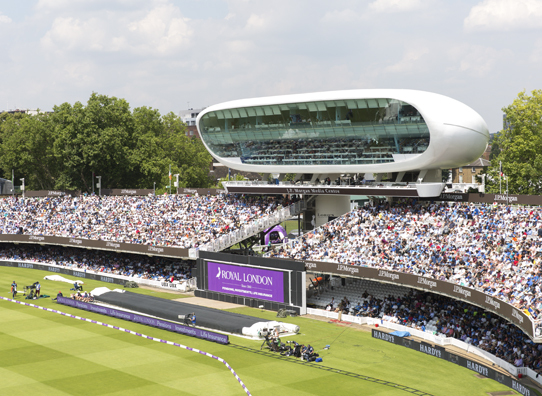 Lord’s is the only major sports venue in Westminster – a borough of London which houses both great wealth and extreme deprivation. Church Street ward, just down the road from Lord’s off Lisson Grove, is within the 10% most deprived wards in the UK, with a third of children needing free school meals. 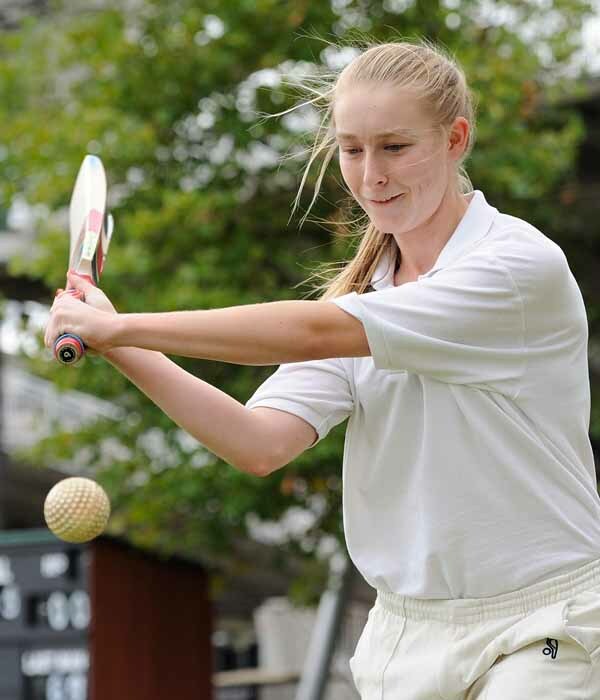 MCC’s Community Development Department is active in Westminster, delivering cricket in all its state schools, and running programmes to reduce social isolation amongst the elderly, and helping the long-term unemployed back into work. 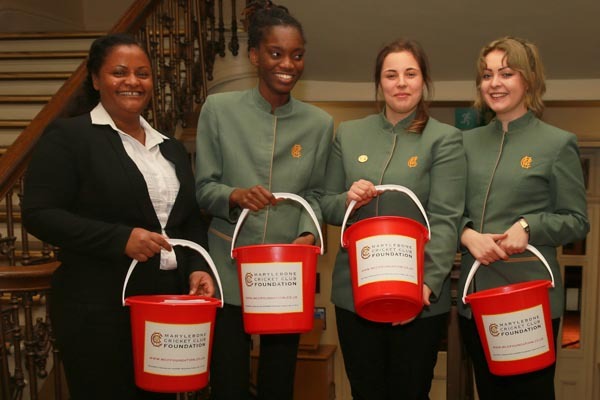 The Foundation aims to be an outstanding local charity in Westminster. We will work alongside the Community Development Team, looking at how we can use Lord’s to upskill, employ and inspire more local people to get active and economically self-sufficient. MCC has a strong track record of making a positive difference abroad, in particular through its support of Afghan Connection and the Foundation for Goodness in post-tsunami Sri Lanka. In July 2019, the Club announced it would undertake a series of “Legacy Tours” to Nepal – sending teams for three consecutive years to help develop cricket in a country which now has ODI and International T20 status. In order to maximise the impact of MCC’s work, MCCF will seek to raise funds and deliver programmes to help develop the game off the field and at the grass roots. We are looking at the feasibility of developing facilities, training up local people to work in cricket, and increasing access to the game through community programmes. We want to leave a long-term positive legacy in Nepal. The Foundation has benefitted from the generosity of individuals – both MCC Members and wider cricket fans – as well as trusts and corporates. More than half the Hubs are directly supported by individual sponsors, consortia, corporates or trusts. The rest, and the Foundation’s other work, is funded by MCC, and unrestricted donations through the Friends and Benefactors’ schemes. The Friends scheme enables people to donate between £25 and £400 p/a by direct debit. To join the Benefactors’ scheme – the 1787 Society – we ask people for a five-year commitment ranging from £5,000 to £50,000 in return for money-can’t-buy experiences at Lord’s. Alternatively, we are always delighted to receive one-off donations. Abi joined the Foundation as Director in June after ten years working for MCC. As Head of Strategy and Public Affairs for the Club she was responsible for MCC’s first strategic plan in 2012 and securing international matches at Lord’s from 2013-2024. Originally from Nottinghamshire, she read History and got two cricket blues at Cambridge before moving to London to work in journalism and Westminster for an MP. She is an MCC Member, and also Chair of Paddington Development Trust. Reece Bird joined the MCC Foundation in August 2014 as the MCCF National Cricket Hub Manager. Reece brings a wealth of cricketing knowledge to the Foundation from his previous ten years' experience as County Cricket Development Manager for Yorkshire Cricket. In his current role, he oversees the Hub programmes across the UK, ensuring high-quality coaching and effective programme management. Reece is an active ECB Tutor, ECB Level 3 Head coach & Pathways lead coach who has a passion to develop players and new coaches. He also sits on the MCC Youth sub-committee. Sammy read History at Christ’s College, Cambridge. When not in the library she enjoyed playing for the University netball team, learning to row, and organising events such as the Christ’s College May Ball. After graduating she spent several months living in Prague working as a Business and Marketing Intern before joining the MCC Foundation in January 2018. Toby joined the MCCF Foundation in January 2019 as our administrator. Previously he worked for a property management company, but in his free time fed his passion for sport by compiling a map of every ‘free to use’ football pitch in London to support the sport at a grass roots level. Originally hailing from Somerset, Toby spent his formative years in Dubai and Hong Kong before returning to England for his studies at Oxford Brookes University where he read Business Management. He is an avid cricketer and footballer. Phillip studied at Downing College, Cambridge and played cricket for the University. He has also played for Yorkshire CCC, and represented MCC in over 300 matches. Phillip was President of MCC in 2011/12 and is currently President of Scarborough CC. He was CEO of Oval Insurance Group from 2003 to 2012 and still has interests in the property and financial services sector. Rick studied at the University of London. Having played cricket for Surrey at most age groups, at university he was elected a playing member of MCC and toured with the Club to Cayman Islands and Belize. A serial tourist, he has organised and participated on numerous tours. He has been chairman of two cricket clubs and over the last four years has pioneered a community approach to cricket development at Cranleigh Cricket Club. His other passions include serving on the committee of the Arabs Cricket Club and the governing body of Cranleigh School. Paul is Head of Cricket outside of the professional environment for ECB. As a Trustee, Paul brings his knowledge of ECB funding criteria, Club and League standings to ensure that donations made by the Foundation are distributed effectively. He brought the idea and outline plans for MCC Foundation Hubs to the attention of the Director and Trustees, and was actively involved in the Pilot programme. As a player he captained his local club Cranleigh before moving on to captain and open the batting for Wimbledon. Higher cricketing honours include captaining the 1998 MCC A tour to East & Central Africa and managing the 2006 MCC tour to Argentina. He has also served as Area Representative for MCC London Suburban region and as Chairman of the Surrey Championship. sabelle is lucky enough to be paid to watch cricket. She commentates for BBC Radio with some TV work thrown in here and there and pens articles for various cricket publications. A playing member of MCC, she is now relishing her second spell on the Main Committee with the great and the good. Isabelle is the author of ‘Skirting the boundary – a history of women’s cricket’ and is keen to shift the remaining copies. In the close season, she can be found in the Alps, on a real tennis or rackets court, or floundering on an elephant polo pitch in Bangkok. Tony studied at Pembroke College, Cambridge where he coxed for the university and captained the college cricket side. He is the current MCC Treasurer, having previously been treasurer of Gloucestershire County Cricket Club. Prior to his retirement in 2009, Tony was with PricewaterhouseCoopers where he was a tax partner for 21 years. He has been a member of MCC since 1972 and has held various positions in the charity sector over the last 30 years. Roger Knight studied at St Catharine's College, Cambridge, during which time he gained four cricket Blues. He played first-class cricket for fourteen years, whilst teaching modern languages during the winters, and went on to captain Surrey CCC for six years. After becoming a boarding housemaster at Cranleigh School, he was appointed as headmaster of Worksop College. In 1994 he became the thirteenth Secretary of MCC and the first Secretary & Chief Executive, when the job title changed. After retiring in 2006, he became Chairman of the European Cricket Council, Chairman of the ECB Association of Cricket Officials, President of Cambridge University CC and Chairman of Governors of King's College, Taunton. Roger also served as the President of MCC in 2016. David studied at St John’s College, Cambridge. He twice represented the University as wicket keeper/batsman and also played for Northamptonshire 2nd X1. He has served on the MCC Membership & General Purposes Committee and the Main Committee. Nicholas Pont was educated at Uppingham School and the University of Exeter, where he read Economics and Politics. He has been a member of the MCC since 2003, and represented Northamptonshire and Sussex County Cricket Clubs. Prior to this, Nicholas opened the bowling for English Universities and was selected for the MRF Pace Foundation in Chennai, under the tutelage of Dennis Lillee and Jeff Thompson. Nicholas is an Investment Director at Schroders, with 16 years of experience in international institutional finance, and previously sat on the investment advisory committee for the PIMCO Europe Foundation. A New Zealander, John Stace spent his career in the City of London. He built Stace Barr Limited in the 1990s into one of Lloyd’s of London’s largest capital providers and was founding CEO of Angerstein Underwriting Trust, which later became Amlin plc. He served as Deputy Chairman of Lloyd’s in 1995 and 1996, served on Lloyd’s Regulatory and Market Boards, and was Chairman of Lloyd’s Charities Trust. His charitable work has included being a Vice President of Save the Children UK, and a Trustee of the Tank Museum at Bovington, Dorset. An Associate MCC Member, John is also a Life Member and served as President of Stogumber Cricket Club in the West Country. We are most grateful to all the companies, trusts and individuals listed below (and those who wish to remain anonymous) who currently support us, and to those who have given generously in the past. Without them, we could not use cricket to transform and improve people’s lives.